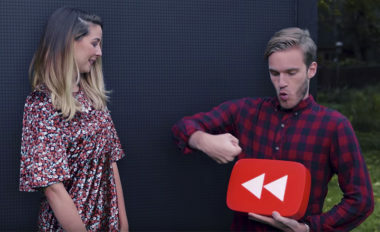 Has YouTube's Rewind Video Made Mainstream Culture a Memory? Has YouTube’s Rewind Video Made Mainstream Culture a Memory? Every year, YouTube lists the most popular viral videos and memes of the last 12 months for trend-trackers and culture-cravers looking to look back on the best of the buzz. This review of relevance features the year’s biggest stars on YouTube and is played to a soundtrack of the trendiest tunes on the site. There’s also a larger look back at the most memorable memes from years past. What’s notable about recent Rewinds is that Internet stars have become as popular as many mainstream celebrities, with most of the memes from traditional media and other social platforms that have come to live on YouTube. This proves that the notion of mainstream culture is a thing of the past, just like the list is itself. Wired.com took a closer look at how the concept of mainstream no longer remains. While traditional media once defined mainstream culture, the rise of digital platforms has led to the rise of Web-based celebrities with huge Internet followings. That’s why when you review YouTube’s Rewind video today, it’s a collection of once-timely tributes to stars of both digital and traditional genres. This shows that culture is now found on every channel and eventually ends up on YouTube. As a result, there’s virtually no more mainstream. With the annual YouTube Rewind video, people can recall the biggest once-relevant references, discover moments they might have missed, and catch up on the culture that defined the day. See how YouTube can play up your brand’s online video advertising. Contact MDG Advertising.